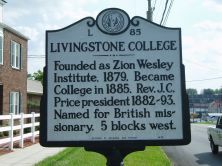 Founded as Zion Wesley Institute, 1879. 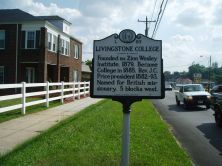 Became College in 1885. Rev. J. C. Price president 1882-93. Named for British missionary. 5 blocks west.